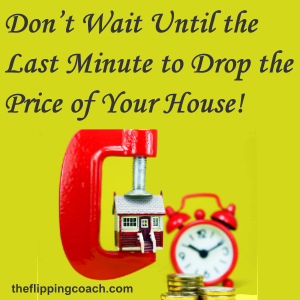 Don’t Wait Until the Last Minute to Drop the Price of Your House! When you think of wholesaling, think of selling houses cheap. Think of selling houses way below value to have buyers that are most likely paying with cash call about your house. 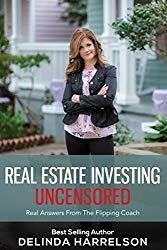 Investors normally think that wholesaling means selling to another investor, but there are lots of regular, every day people that have cash and are more than happy to invest in a home if they get a discount. They don’t need to buy like the Guru’s tell investors to buy. That old adage of 50 cents on the dollar is very hard to find for most people in good areas. We all have a different idea of what a deal is, and for a lot of people a deal is not paying full market value for something. If you study the MLS data like I do, you can see that most people are happy for $5-$10,000 off of the price of a house. This basically applies to nice houses, not ugly, scary, smelly, and weird ones. We are seeing more cash buyers enter the market place, and they know they will most likely get a better deal by paying cash because this is normally a much less intensive process to sell a house. They may want an inspection or appraisal, but they won’t tie it up for months waiting for a bank to give them the funds. I will take a cash offer, any day over a bank loan. I do make sure that we close faster than banks because there really is no need to drag out a closing when someone doesn’t have to jump through all of the hoops that a bank makes them jump through. Ask anyone that has gotten a mortgage lately and they will tell you that the left hand never knows what the right is doing. They lose paper work, and need you to send the same thing over and over again. They ask the same questions. It is maddening. Even when I consult sellers that need more for their house than I am willing to pay, I always recommend they price the house with a discount IF they have to sell fast. There are some people that don’t have to sell, and therefore, they can wait 6 or more months to get more money. A lot of it will depend on your individual situation. If you have to have cash, then you don’t price it more than the recent sales. 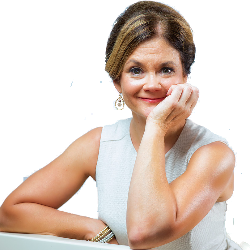 I get calls and leads all of the time from people wanting more than the house is worth because that is what they want. Houses seldom sell for more just because you want it too. How many deals have fallen through because the house didn’t appraise? If you don’t have a niche market, with more demand than supply, I wouldn’t attempt to get top dollar. Remember too, don’t wait until you are at the end of your rope to sell. If you sat on the market for a year trying to get top dollar, and are going into foreclosure next week, it is going to be awfully hard to line all of the people up to close that fast even if you find a cash buyer by selling at a discount. We are lucky and have good teams in place to close fast, but if I am out of town or just had a death in the family, my number one priority is not going to be to buy a house because I get good deals throughout the year. 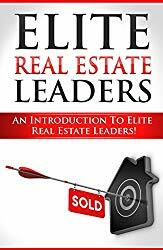 Remember I have over a decade of full time Real Estate Investing, major contacts, and resources, so this is an advantage when getting the wholesale deals. You do can have it too if you network, and always, always, “DO WHAT YOU SAY YOU ARE GOING TO DO”. Don’t play games tying up a property so you can flip it and then when it doesn’t happen you back out on the seller.